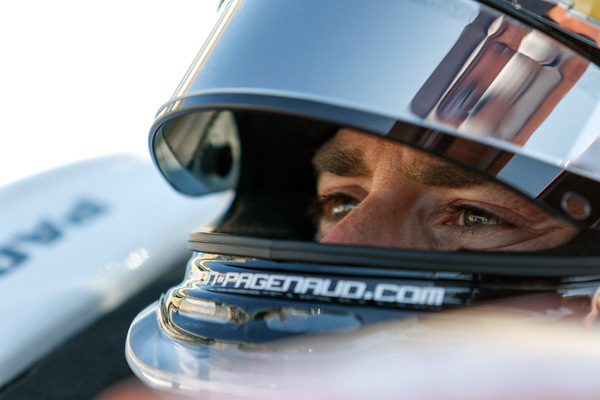 Simon Pagenaud took his maiden oval win at the Desert Diamond Phoenix Grand Prix as Chevrolet dominated. Team Penske took 3 of the top 5 finishes, with JR Hildebrand recovering from a broken hand to take a career-first podium and put 4 Chevy’s in the top 5. The defending series champion got lucky with the timing of the first full course yellow. That was only half the story as Pagenaud nailed fast laps around pit stops to pull out a 6 second lead. A classy and intelligent performance that takes the Frenchman to the top of the point standings rather ominously. It was ridiculous to think this was JR’s first race start at Phoenix. Running with a broken hand, Hildebrand was the only driver to offer some form of challenge to Penske. JR was mighty in traffic and chased Will Power down at the finish to fight for 2nd, offering some degree of excitement during a processional final 25 laps. In the wake of ESPN massacring their sports correspondents including big names like Dr Jerry Punch NBCSN continued to raise the bar on coverage. Paul Tracy and Townsend Bell are a great commentary duo and every broadcast feels like the broadcaster and their entire team really want to be covering IndyCar. A confidence boosting 2nd place finish hid the fact Power probably had the strongest car all night. As teammate Pagenaud benefitted from yellow flags, Power did not. Subsequently the 2014 series champion was stuck behind lapped traffic while Pagenaud could stretch out and maintain a healthy gap. Power jumps to 7th in the point standings and gains some important momentum heading in to the month of May. The Australian is 68 points behind series leader Pagenaud. IndyCar’s resident ‘mad Russian’ drove the first lap at Phoenix with his right foot and not his brain. In to turn 1 on cold tyres Aleshin lost the rear end at triggered an accident that took out series leader Sebastien Bourdais, Marco Andretti, Graham Rahal and Max Chilton. Pagenaud and Hildebrand in particular made the Phoenix Desert Diamond Grand Prix look racier than it actually was. Road course aero kits on a short oval are a recipe for a processional race. On the plus side you could tell that the moves that did stick were very well executed and hard won. But for the fans it was a pretty dull affair and the blame for that has to lie with the high downforce configuration. Fingers crossed the new universal aero kit for 2018 will give drivers much less downforce on short ovals. For the Phoenix race promoters in particular it is essential this happens to help them build the fan base for the Desert Diamond Grand Prix. 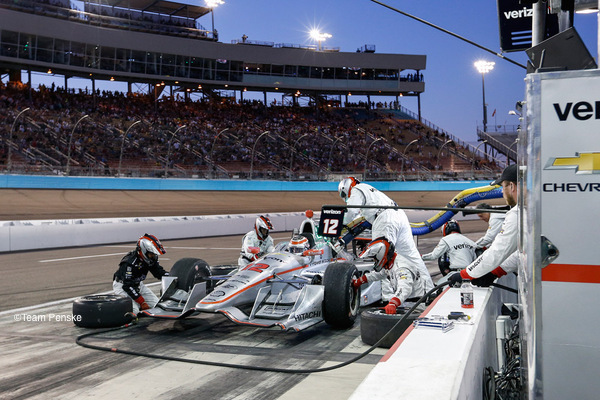 The high levels of drag inherent to the Honda aero kit plagued the likes of Ganassi, Andretti Autosport and Schmidt Peterson all weekend in Phoenix. Honda teams were perpetually sliding backwards as Chevy dominated thanks to their better balanced aerodynamics. Scott Dixon maintained a bit of Honda dignity with a 5th place finish to continue his surprisingly strong start to the season. But overall Honda were on the back foot all weekend. By IndyCar standards this race was a snooze. The overtakes that did happen were all the more impressive by virtue of their rarity but that was not enough to make this race more interesting. Next Post Is Bottas/Hamilton set to be Rosberg/Hamilton rebooted?